In adults, mesenchymal stems cells (MSCs) are primarily found in bone marrow and they play a vital role in repair of damaged organs. The transformation of a single MSC into complex tissue like cartilage and bone starts with its association with other MSCs in order to form microscopic clusters via a process termed as condensation. While it is known that this condensation step is important for skeletal development the exact role it plays in formation of bone and cartilage is not understood. 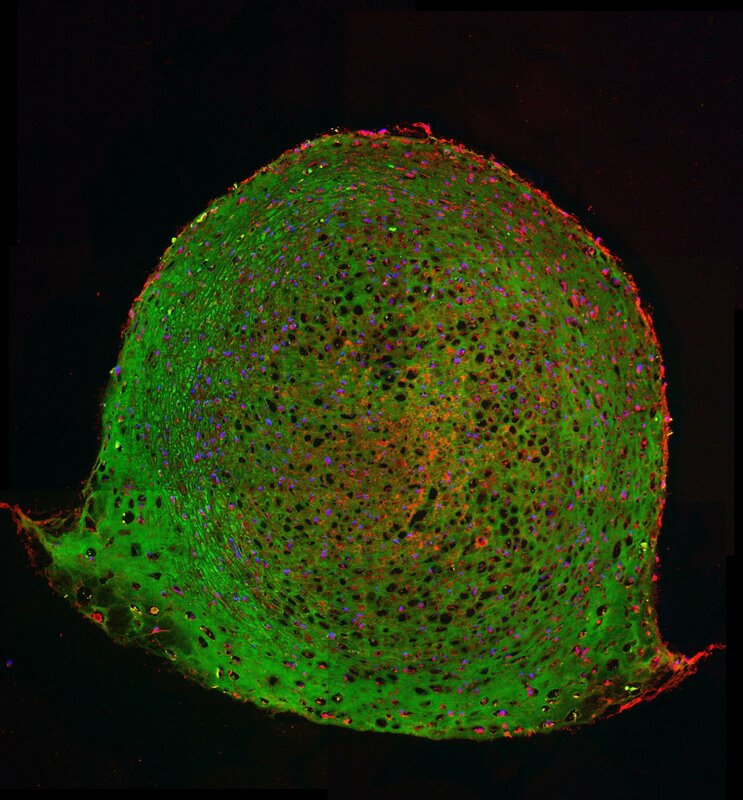 A team led by Prof. Dr. Prasad Shastri and Dr. Melika Sarem of the Institute for Macromolecular Chemistry at the University of Freiburg present evidence for autonomous control of chondrogenesis in MSCs. These findings are published in the journal Stem Cell Research & Therapy.